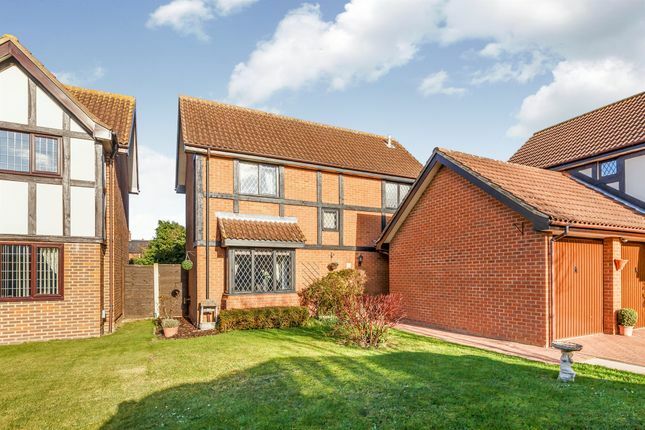 This decent sized three bedroom detached house will be perfect for family buyers to move straight in to. 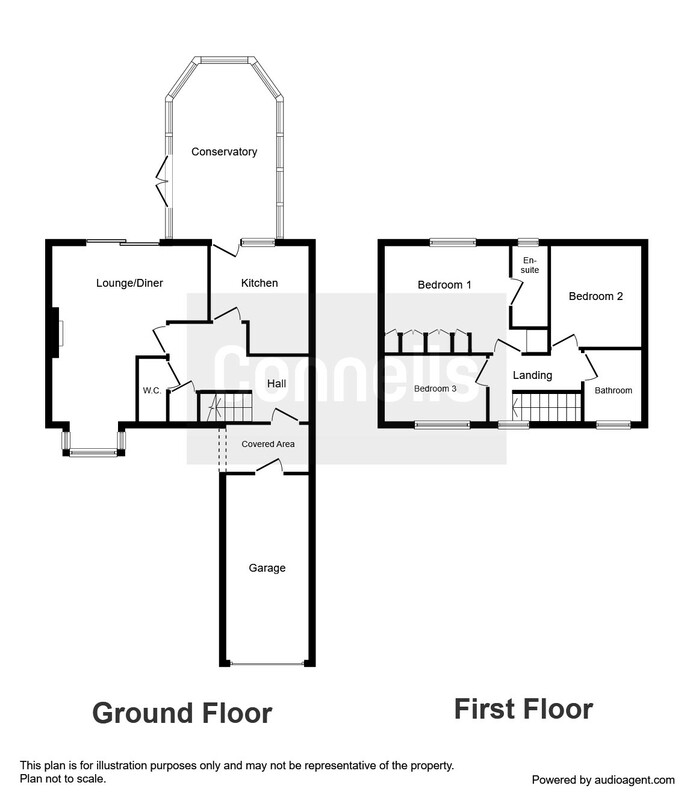 Throughout the property offers an entrance hall, cloakroom, lounge/diner, kitchen, conservatory, three bedrooms, en-suite, front and rear gardens, garage and off road parking for two cars. Wooden front door. Double glazed window. Cupboard under the stairs. Fitted carpet. Stairs rising to the first floor. Double glazed bay window. Two radiators. Television point. Fitted carpet. Gas fire place with decorative surrounding. Sliding doors leading out to the rear garden. Fitted kitchen with a range of wall and base units and roll top work surfaces. Sink and drainer with tiled splash backs. Oven and hob with cooker hood above. Plumbing for a washing machine and dishwasher. Space for fridge freezer. CH boiler. Radiator. Double glazed window and door leading into the conservatory. Brick built construction with tiled flooring and power. Doors leading out to the rear garden. Stairs rising from the entrance hall. Double glazed window. Access into the loft and airing cupboard. Double glazed window. Fitted wardrobes and radiator. Double glazed window. Wash hand basin. Low level wc. Radiator. Shower cubicle. Partly tiled. Double glazed window. Wash hand basin. Radiator. Low level wc. Fitted carpet. Mainly laid to lawn with pathway leading to the front door. Paved driveway with access into the garage. Enclosed rear garden by timber fencing, mainly laid to lawn with mature shrub borders and patio area. Power, lighting and eve's storage. Off road parking for two cars.